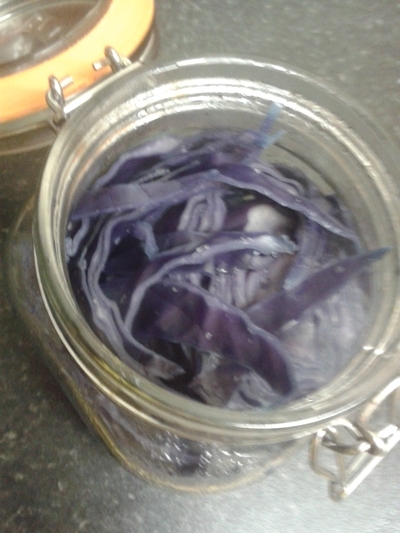 Red cabbage is underrated, high in fibre and excellent for the skin, it is a brilliant vegetable side dish for kids. Baked it is more enjoyable than the somewhat scary side of greens. Plus it's purple, and kids love purple. Chop the cabbage and place in a saucepan for 10 minutes. 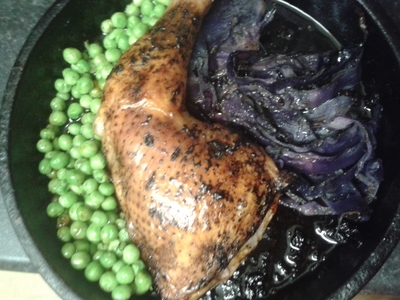 Transfer the cabbage to the roasting tray with the chicken, add the mixed spice, for the final 10 minutes of cooking. If you like, instead of serving the cabbage with a meal, transfer to a jar and place in the fridge for up to two days. 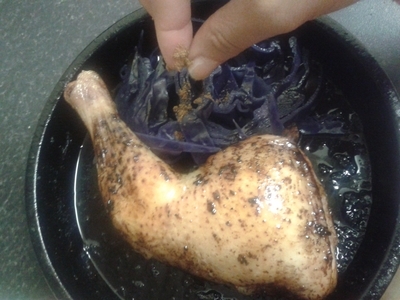 Alternatively, bake the cabbage in the juices from the chicken you've been roasting. Serve up and enjoy.